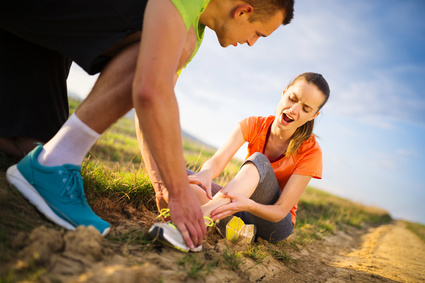 Did you know heel pain can affect anyone, but it is more likely in people who undertake a lot of sporting activities or training due to the repetitive nature of most physical sports. Young athletes may be particularly at risk of developing conditions that cause foot pain because they may be more likely to ‘play on’ through pain and make conditions worse. It is vital that every young athlete learns how to look after his or her feet properly, preventing foot disease or injury and ensuring on-going health. A simple foot care routine involves washing feet daily and drying them carefully, alternating different pairs of shoes each day and dealing with any problems as soon as possible. Wearing the right shoes is crucial to keeping feet healthy, and it can be helpful to visit a specialist store such as Foot Solutions to take advantage of professional advice and measuring, and to discuss the specific needs of a young athlete with an experienced member of staff. Heel Bursitis. Heel bursitis, or Achilles tendon bursitis, is an inflammation of the bursa (fluid-filled sac), which affects either the area between the back of the heel and the Achilles tendon, or the front of the area where the Achilles tendon attaches to the heel bone. Ice treatment is often advised to help this condition to heal, and some clinicians advocate a programme of gentle, progressive stretches which can help to relieve pain and make improvements to the condition. Plantar Fasciitis. The long plantar fascia runs from the toes to the heel, and can cause extreme pain if it becomes damaged or inflamed. Plantar fasciitis is treated with rest, ice and specific exercises designed to strengthen and repair the plantar fascia and surrounding tissues. Stress fractures. Repetitive movements that involve your foot striking a hard surface, such as running and jumping, or even kicking a ball, can lead to tiny stress fracture in the feet. These can be very painful, and if untreated, can lead to full breaks. Seeking medical advice is important, to establish whether you will need cushioned inserts and for how long you will need to rest your feet to allow them to heal. Here at Foot Solutions, we have the experience and the knowledge to find the right shoes for your feet, and we know you’ll be delighted to feel the difference. Pop in to your local branch for a free gait analysis test and have a chat with one of our expert fitters about your training regime and your lifestyle, and find out which shoes will be best for you!